It turns out that genetics has a lot to do with whether someone will suffer from gout – the disease once associated with gluttonous indulgence and King Henry VIII. Diet clearly plays a role, but genetics has a big influence on whether a person will develop this painful form of arthritis, which is caused by high uric acid levels. Estimates are that about four percent of people in the U.S. have gout at any given time, and 10-20 percent of people may suffer a gout attack at some point in their lives. Gout has become increasingly prevalent in recent decades as rich diets have become more commonplace. But genetics also plays an important role in the condition, specifically variants in genes involved in the excretion of uric acid from the kidneys. Variants in the genes ABCG2 and SLC2A9 are associated with increased risk for gout. The gene ABCG2 encodes a protein that transports uric acid out of cells, while SLC2A9 encodes a protein that helps regulate the amount of uric acid removed from the blood by the kidneys. Editor’s note: 23andMe no longer offers customers a genetic health report on gout. Customers who purchased prior to November 22, 2013 will still be able to see an archive health reports. Gout can be quite painful. When the body produces too much uric acid, the uric acid can form crystals in the joints that trigger attacks from the immune system. Consuming rich foods, sugary drinks, red meats and beer can increase the risk for developing the condition. For those at risk or who already have the condition, there are treatments and recommendations for keeping attacks at bay. Among the recommendations are staying well-hydrated, limiting the intake of red meat, beer and sugary drinks and regular monitoring of the uric acid level in your blood. There are also some medications used to help control the condition. Gout is also associated with other conditions including cardiovascular disease, hypertension, kidney disease and obesity. Everywhere there is DNA being made or broken down, there is uric acid. The build up of uric acid causes gout, but uric acid is also a molecule that is one of the building blocks of genes. 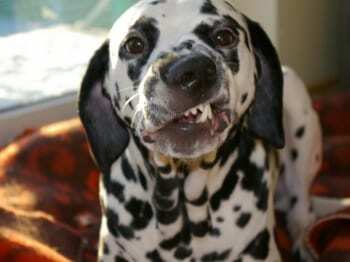 Dalmations also famously get gout. In their case the mutations occur in a gene called SLC2A9 that helps excrete uric acid from the body. Interestingly, variations in this same gene are also associated with gout in humans. Most birds and some reptiles also develop gout, especially when kept as pets. This seems to be the result of extremely high protein diets and kidney failure. Perhaps the most surprising species afflicted with this disease is the T-rex. Fossil evidence of damaged joints have provided a convincing argument that the King of Dinosaurs, perhaps appropriately, harbored the King of Diseases. However, in this case, we may never be sure whether it was caused by a genetic mutation or a diet rich in red meats. Fossil evidence of damaged joints have provided a convincing argument that the King of Dinosaurs, perhaps appropriately, harbored the King of Diseases. However, in this case, we may never be sure whether it was caused by a genetic mutation or a diet rich in red meats.